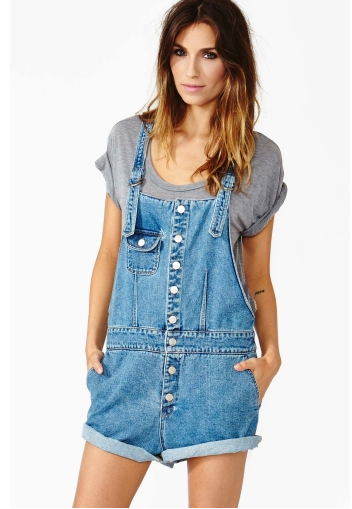 I know this post is a little late, as the overalls trend is continuously growing more popular (and is already popular). I just wanted to know what were/are your thoughts about this trend? I know that when it first came into fashion and I saw someone from my school wearing them, I thought “she looks like a farmer” (no offence intended) and that it was an outdated, 90s style. I had no idea that it would have grown so popular and as time went on and I saw more and more people styling it, I began to like it! Now, I think it is a really cute, simple and fun style. What are your thoughts? Are you all for it or all over it? (Photos are not owned by me). Disclaimer: photos are not owned by me. I think theyre cute, when done right. I need to find a good pair! I got a pefect pair of greyish overalls this summer and as long as the fit is right, they really kind of go with everything! I need to buy a pair overalls. They look so comfy! It’s soo cute and perf for spring or summer!